I always enjoy giving presentations because I get the best comments and questions from my audiences. Such was the case a few weeks ago when I gave an accessible travel presentation at the Mercy MS Center in Sacramento. At the end of the presentation one lady told me that she had recently had her power strip confiscated while boarding a Royal Caribbean International (RCI) ship, and that “they had a whole table of them” that had been taken away from passengers. She needed the power strip to charge her scooter, and since this was a new development to me, I decided to look into it. First off I looked at the prohibited items on the Royal Caribbean and Celebrity websites, and although extension cords were mentioned, power strips were not. Holland America, Carnival and Princess also each had an extensive list of prohibited items that included everything from irons and handcuffs, to weapons, hookahs and even catapults (is this really a problem? ); however extension cords or power strips were not mentioned. 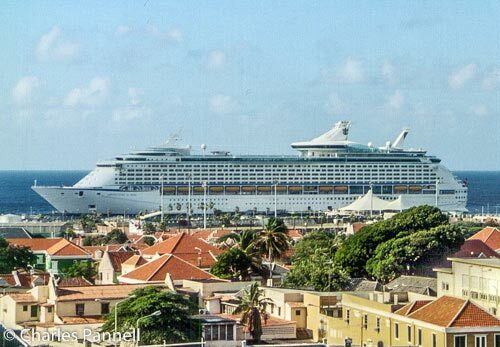 So I decided to go to my accessible cruise expert – Debra Kerper, owner of Easy Access Travel (www.easyaccesstravel.com). Not only has Debra been planning accessible cruises for well over 20 years, she is also on Royal Caribbean’s Access Advisory Board. Debra understands the need for a power strip on board, as she is also a scooter-user, and she told me she tells her clients to pack them in their checked luggage. Good advice, but upon further research I found that they are even confiscating them from checked bags. So I asked her if she could look into it further. And she did. She reported back that Ron Pettit the Director for Disability and Inclusion at Royal Caribbean informed her that although extension cords are prohibited, RCI can provide them for passengers who bring along their CPAP machines. She responded by telling him that often more than one medical device needs charging near the bed, and reiterated the need for power strips. Mr. Pettit said that they would look into it. I too believe there should be an exception made for folks who have medical equipment or assistive devices that require electricity or recharging. So what should power wheelchair-users and scooter-users who are planning a RCI cruise do in the interim? Well Debra was quick to point out that Oasis class and Quantum class ships have extra outlets near the head of the bed, so that may work for some folks. That said, no matter which RCI ship you choose, it’s important to remember that your extension cord and power strip will most likely be confiscated. I’m certainly receiving a lot of reports about this currently. Alternatively, some folks have been taking along small outlet splitters. 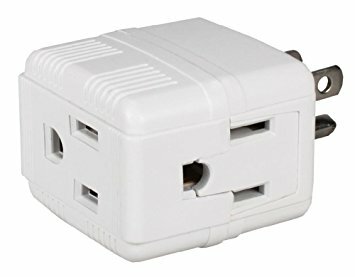 These compact devices plug into outlets and add additional receptacles, but unlike power strips they are small and easy to tuck away discretely in checked baggage. As always I will be monitoring the situation and I will certainly report back with any changes, but until then don’t expect to be able to take extension cords and power strips aboard any RCI ship. This entry was posted in Cruises and tagged celebrity, cruise, extension cord, power strip, royal caribbean, scooter by Candy B. Harrington. Bookmark the permalink.